Back teaching a couple of subjects and it’s the constant challenge to find enough common ground with students so one can push/pull them to the other side of new concepts. We are not talking about complex hierarchical models using mixed models or Bayesian approaches, but multiple linear regression or similar. What do students actually learn in first year stats…? I’m enjoying reading Machine Learning for Hackers by Drew Conway and John Myles White. There isn’t a lot of stuff new for me in the book—although working with text is not something I usually do—but I have chosen to read the book with newbie eyes. I’m (repeating myself) looking for enough common ground with students so one can push/pull them to the other side of new concepts and, let’s face it, I was 20 quite a few years ago. Observation on teaching a lab for STAT202, in which many students are using R for the first time. Do you remember your first steps in S+/R? Some students see the light quickly while others are struggling to get their heads around giving commands to a computer (without clicking on icons). Videos and screencasts on using IPython via Vince Buffalo. This tweet by @isomorphisms resonated with me: ‘Someday I hope to be reading more Penguin Classics than John Wileys & Springer Verlags’. Tom points to an explanation of ‘What really shoots out of spiderman’s modified forelimbs, and why this causes such consternation’. I have to convince College IT guys to install R-Studio in a few hundred computers. R-Studio is becoming better all the time, making it obscene to subject students to the naked R for Windows installation without syntax highlighting. Finally, reasons why men should not write advice columns via Arthur Charpentier. 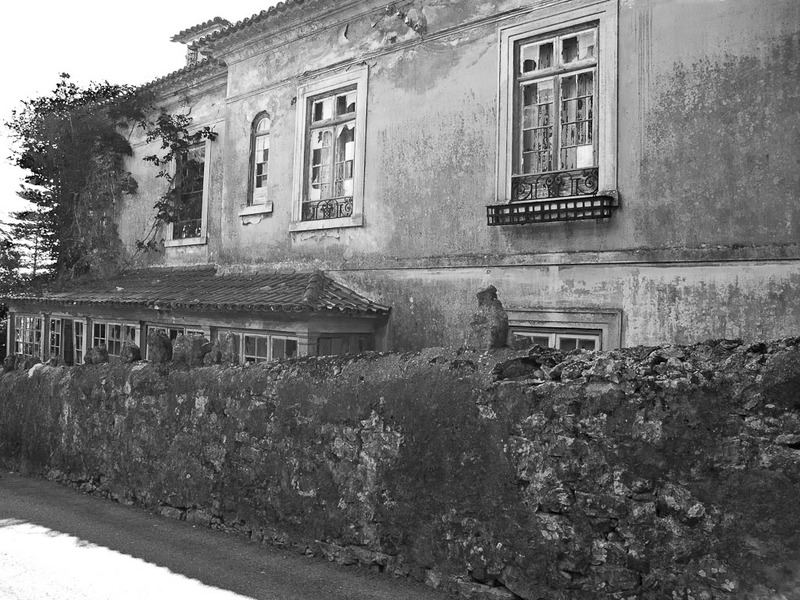 Derelict house in Sintra, Portugal (Photo: Luis).